with those who play at cards and other games of chance. 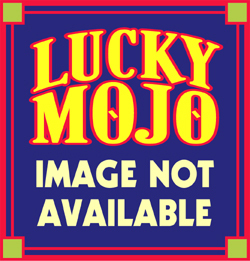 Lucky Mojo Southern style Mojo Bags are made with genuine roots and herbs. Also called Jomos, Conjure Hands, and Trick Bags, they are generally carried on the person. Packaged with full instructions and 1 dram vial of Three Jacks & A King Dressing Oil. Lucky Mojo Triple Strength Mojo Bags -- also called Jomos, Conjure Hands, and Trick Bags -- are generally carried on the person. They contain more costly and rarer ingredients for added power. Packaged with full instructions and 1 dram vial of Three Jacks & A King Dressing Oil.